16 November 2016 – On 4 November 2016, the Kingdom of Saudi Arabia sentenced Munir al-Adam, 23 years old, to death. Security forces arrested him in 2012 for his involvement in the 2011 protests, when he was 18 years old. During his trial, authorities did not allow him access to a lawyer. Al-Adam is partially blind and partially deaf. Authorities tortured him until he provided a confession, and as a result, al-Adam claims to be completely deaf in one ear now. Authorities reportedly ignored medical evidence that he would face further impairment and trauma if the torture continued. Based on his coerced confession, the Specialized Criminal Court (SCC) sentenced al-Adam to death under the anti-terror law for “attacks on police” and for organizing protests on his cellphone. Al-Adam denies these charges and says that he never owned a cellphone. He could be beheaded any day. The authorities have sentenced numerous individuals to death for allegedly protesting or criticizing the government, including a Sheikh Nimr Baqir al-Nimr, a prominent cleric and peaceful dissident who promoted equality. 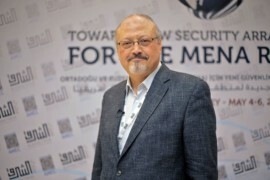 As a result of his activism, Saudi security forces violently arrested him and the SCC subsequently sentenced him to death under the anti-terror law. He was executed on 2 January 2016 along with 46 others. Authorities also arrested Ali al-Nimr, Sheikh al-Nimr’s nephew, as a minor in 2012. Many aspects of Ali’s case resemble Munir al-Adam’s case, including being tortured, forced to sign a false confession, and charged under the anti-terror law with organizing protests. In 2014, the SCC sentenced him to death; his execution is imminent. Saudi Arabia has executed several citizens with disabilities as well. Of the 47 executed in January, two people suffered from mental illness. One was Abdulaziz al-Toaili’e. Security forces arrested him in 2005 after shooting him in the face. Al-Toaili’e was said to have become severely mentally unwell in prison as the result of prolonged physical and psychological torture. In 2012, his cellmate Suliman al-Reshoudi, a human rights activist, wrote to the Ministry of Interior and requested Toaili’e be released so that he could receive treatment for his mental illness. In 2014, a friend of al-Reshoudi who was familiar with the case sent a letter to the Office of the United Nations High Commissioner for Human Rights explaining Toaili’e’s mental health problems and that he had been sentenced to death. He received no reply. Toaili’e spent 11 years in prison and was executed on 2 January 2016. Another disabled prisoner Saudi authorities sentenced to death was Siti Zainab Binti Duhri Rupa, an Indonesian woman, who was also executed on 2 January 2016. Siti reportedly confessed during police interrogation, however she had no legal representation at any stage in the process and did not have access to consular representation during the interrogation. According to reports, police suspected she suffered from mental illness at the time of interrogation. Despite this, a court sentenced her to death in 1999 and held her in prison for over 15 years before executing her. The Government of Saudi Arabia acceded to the Convention on the Rights of Persons with Disabilities in 2008. Despite this, the government has violated the rights of its population with disabilities by continuing to subject them to torture and capital punishment. Saudi Arabia should immediately amend or introduce legislation to reflect its accession to the Convention, release all political prisoners and peaceful protesters—including Munir al-Adam and Ali al-Nimr—immediately, and drop all charges against them.